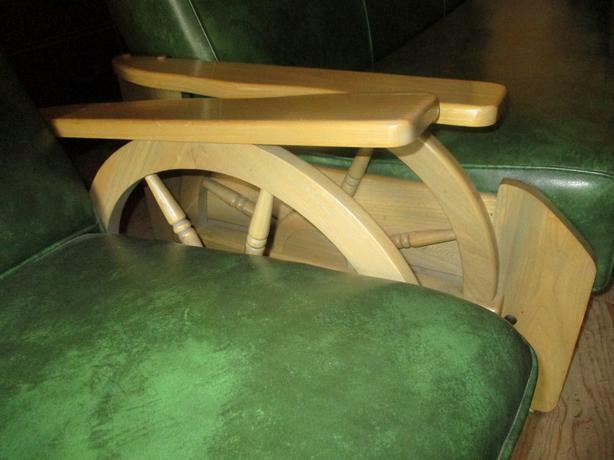 THIS NAUGAHYDE LIVING ROOM SUITE HAS THREE PIECES. 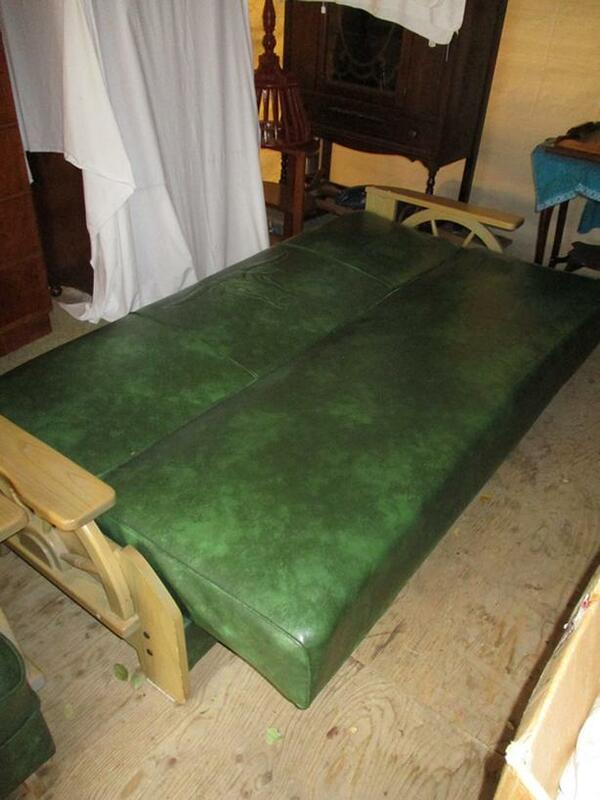 1.THE CHESTERFIELD/BED IS GREEN LEATHER WITH A HEAD OF A TEXAS STEER IMBEDDED ON THE BACK. IT BECOMES A BED WITH A SLIGHT LIFT. UNDER THIS BED IS CLEAN STORAGE SPACE. 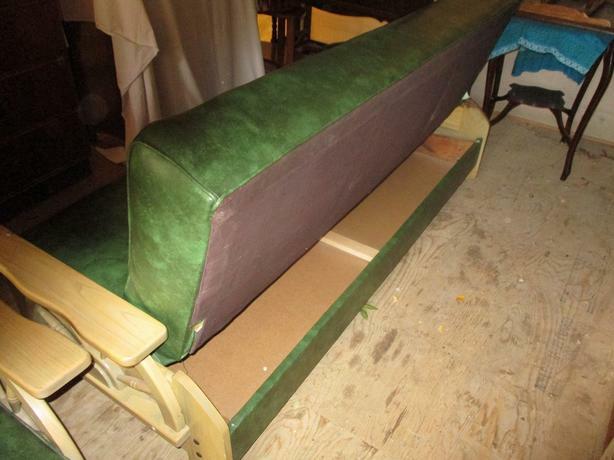 ITS DIMENSIONS WHEN IN BED FORM ARE 43 INCHES WIDE AND 81 INCHES LONG. 2. 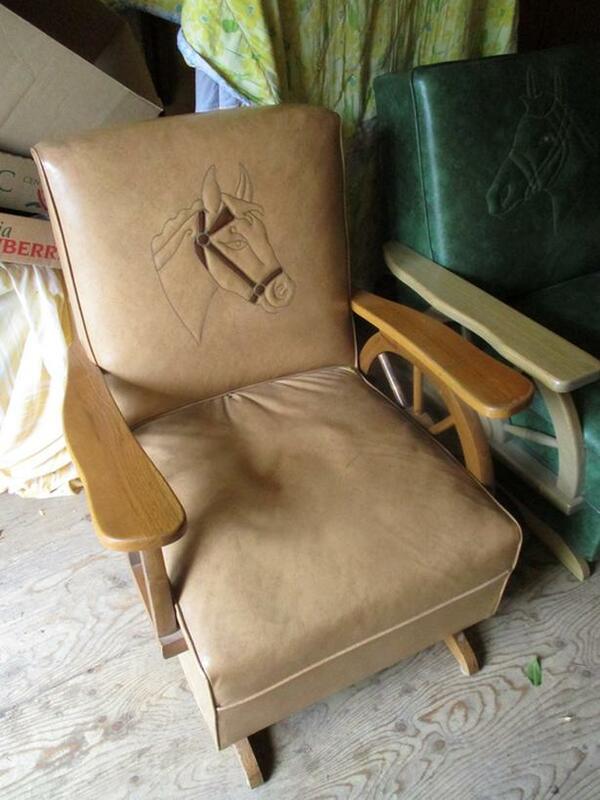 A COMFORTABLE ROCKER IN BROWN LEATHER WITH A HORSE HEAD EMBEDDED ON THE BACK. 3. 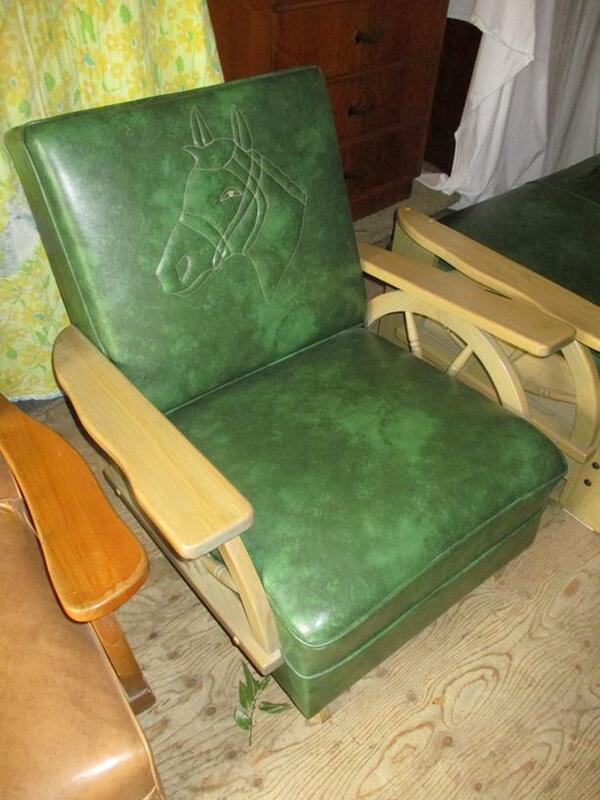 A SECOND ROCKER IS IN GREEN LEATHER WITH A HORSE HEAD EMBEDDED ON THE BACK. 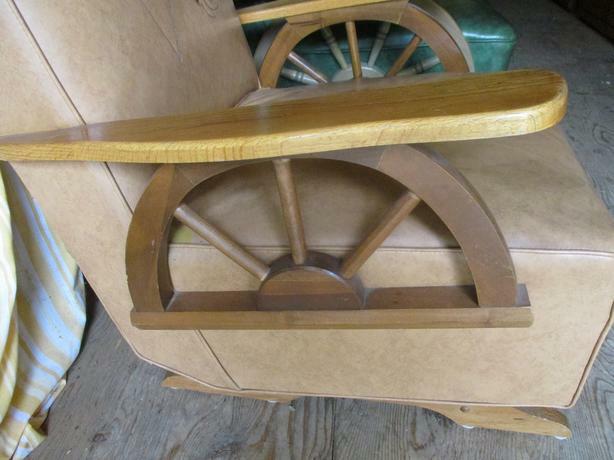 ALL THREE PIECES HAVE 1/2 WAGON WHEEL ARM RESTS AND ENDS IN SOLID WOOD. 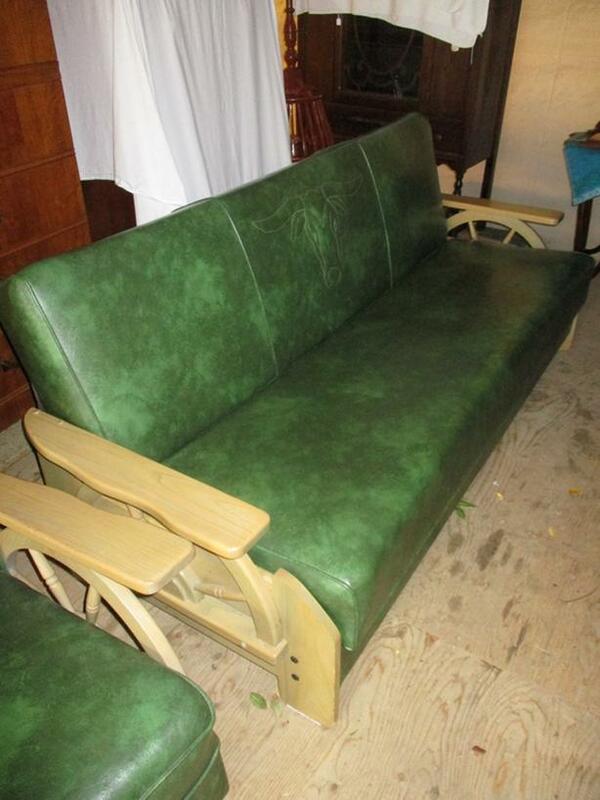 THIS VINTAGE SUITE COMES FROM A VERY CLEAN, NON SMOKING HOME AND IS IN VERY GOOD CONDITION.